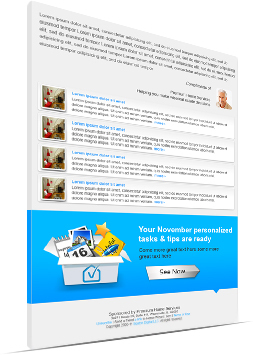 The Home Wizard interactive eNewsletter is much more than a typical newsletter! an access link to a personalized home manager that has calculated your ideal home care tasks, tips and improvement ideas for that month for your particular home and goals. helpful articles that are selected for you based on your goals and priorities for your particular home. links to download the mobile app version of Home Wizard, for whenever you want to move your personal home manager to your smart phone or tablet.